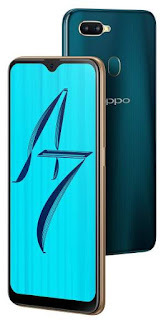 Oppo has officially unveiled their latest smartphone called Oppo AY.The handset has leaked in renders as well as features just few days ago.Now the official listing confirms that the previous leaks reported here were true.However,let us have look at latest Oppo A7. 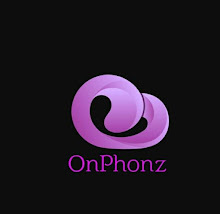 The Oppo A7 specifications includes 6.2 inch FHD+ resolution display which is protected by Corning Gorilla Glass.The phone having 19:5:9 aspect ratio,features 88.4% screen to body ratio and a water drop style notch.Additionally,it's display is layered with 2.5D curved glass.The company claims that the display will produce 35% more brightness with its anti reflective coating. The Oppo A7 is getting power from its Snapdragon 450 octa core processor and 506GPU.It has 4GB RAM and comes with 32GB or 64GB onboard storage.Its storage can be expand up to 256GB via sd card slot.To enhance it's gaming performance,it has Hyper Boost Technology.Its hardware is coupled with Android 8.1 Oreo based Color Is 5.2. In terms of photography,it has 13MP+2MP dual camera with LED flash at rear panel.The camera features AI scene recognition and AI beauty technolgy to get studio quality portraits.Thre is 16MP sensor with AI sticker has fitted inside notch for selfies and video chatting.The handset is backed with 4230 mah battery. For connectivity,it has 4G VoLTE,GPS,USB,Wifi 802.11 a/b/g/n,Wifi hotspot,Bluetooth and 3.5 mm audio jack.Its pre installed sensors includes light sensor,gyroscope,accelerometer and finger print scanning sensor.The handset will be available in Glaring Gold,Glaring Blue and Powder pink cors with $230 in China.